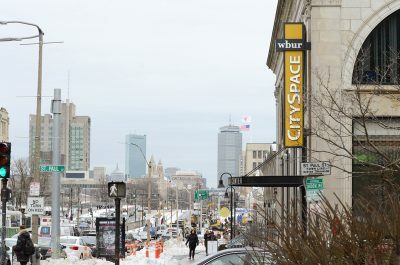 WBUR’s newest expansion is called CitySpace, located on Commonwealth Avenue on Boston University’s West Campus. Regular commuters to and from Boston University’s West Campus may have noticed that the old Landry’s Bicycles’ location was recently replaced by a new office space. The location that once featured bicycle-lined walls has transformed into the modern-looking space that is WBUR’s newest extension, CitySpace. Amy Macdonald, WBUR’s director of community engagement, said the space is intended to help the station grow. CitySpace, located at 890 Commonwealth Ave., first debuts Wednesday and opens to the public Thursday, Feb. 28. 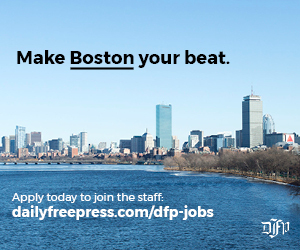 “CitySpace is WBUR’s most recent effort to expand beyond radio broadcast and reach a broader audience,” Macdonald said. According to WBUR’s website, the news station first went on-air in 1950 as a station licensed to Boston University. Initially, the station was run by a staff comprised of students, amateurs and volunteers, but throughout the 1960s, the station grew increasingly established and later switched to mainly distributing radio news. Today, WBUR broadcasts coverage of local, national and international news from multiple news outlets such as NPR, Public Radio International and BBC, as stated on its website. Every week, the station serves approximately 500,000 people regionally and 7 million people nationally, making it one of the most widely listened to public radio stations in the United States. Macdonald said WBUR has spent the past five years raising $16 million to build this space. Once WBUR raised sufficient funds and BU approved of the plans, the year-long construction of the venue commenced. Construction extended all throughout 2018, and was completed January 2019. A recent WBUR article detailed the space’s “range of state-of-the-art equipment,” which includes a 16 foot wide, high definition screen, robotic cameras and lighting and large windows that permit pedestrians walking past to see the pneumatic stage. This equipment will allow WBUR to facilitate dialogue and live-person analysis on subjects such as politics, the environment, life sciences, education and arts and culture, according to the article, and serve 30,000 people per year with 200 events. 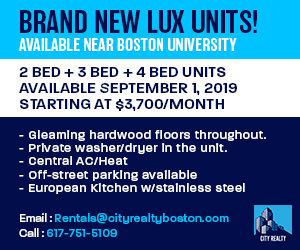 Macdonald said one of the goals of CitySpace is to bring people from around the Boston area together by working with several schools, especially BU. “We have a partnership with BU’s Questrom Business School and Harvard’s business school about how businesses need to step up in the age of climate change and change policy and come up with solutions,” Macdonald said. Hadley Hopkins, a junior in the College of Communication, said she was proud of WBUR’s roots. COM junior Sachi Dulai said the space could have an especially beneficial impact on specific COM majors. CitySpace will be open during the spring semester and the summer, Macdonald said, and will hire interns and volunteers. Both interns and volunteers are invited to help program their website or share any ideas they have for WBUR, she said. Macdonald said CitySpace plans on taking advantage of such student interest by hosting events geared toward journalism. CORRECTION: A previous version of this article misspelt the Emerson as Emmerson. It also mislabeled the Wednesday debut as being on Sunday. An updated version reflects this correction.